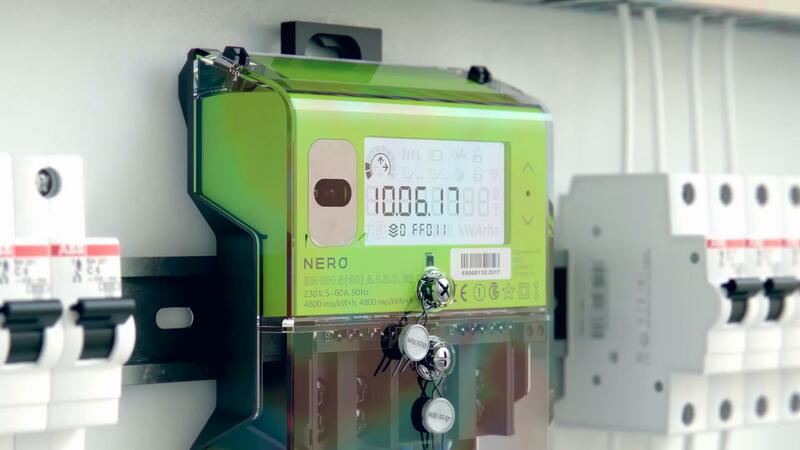 to design an electric meter. 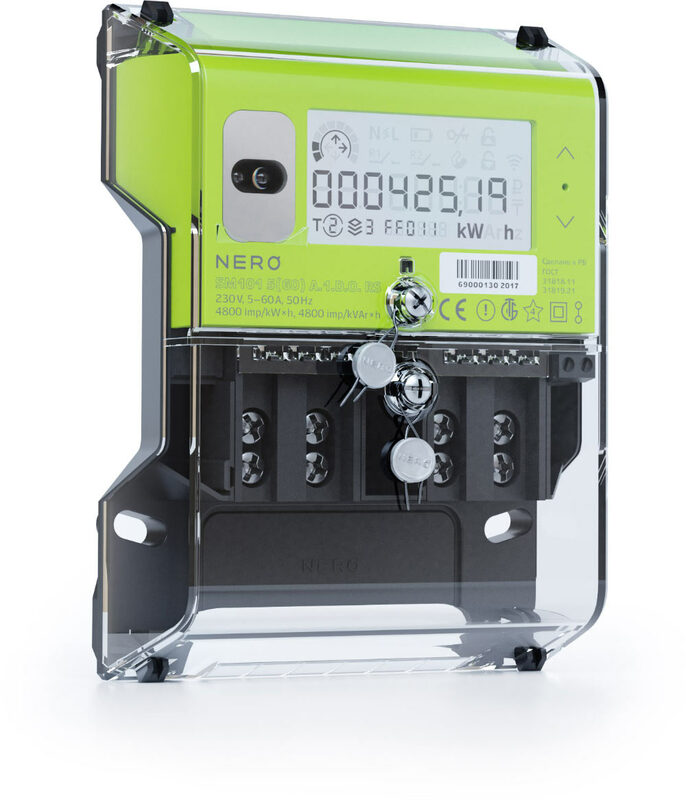 Nero came up with a single-phase residential electric meter SM101: highly precise, programmable, with surge protection and the ability to independently transmit metered information to the energy company and calculate costs. Such a meter required an excellent design, which is why the case and the screen of the device were created at the studio. 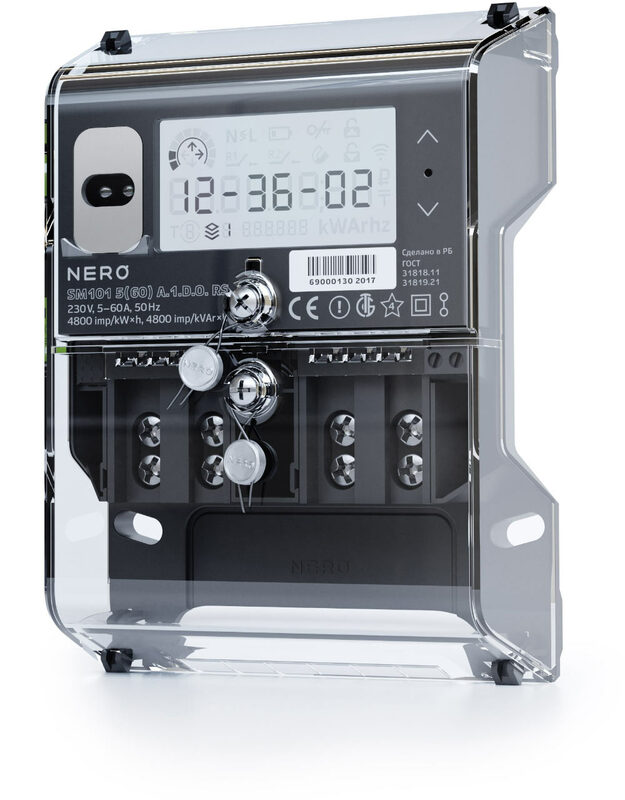 The front of the meter is covered with transparent plastic panels. They make terminals and wires easily visible and protect the device from dishonest energy users: changing anything inside is impossible without breaking seals. 100% protection against cheaters! The very compact and beautiful device can be attached to a mounting rail or bolted using the holes and the eyelet: we came up with two simple methods of installation. Despite having the minimal dimensions, the meter is equipped with a large screen that shows big digits. Users can easily see how many kilowatt hours they spent this month. In addition, we improved display graphics: all pictograms are clear and easy to understand. For example, the upper left icon shows power distribution and the magnet icon lights up if someone tries to slow the meter down using a magnet; they will be fined, of course. 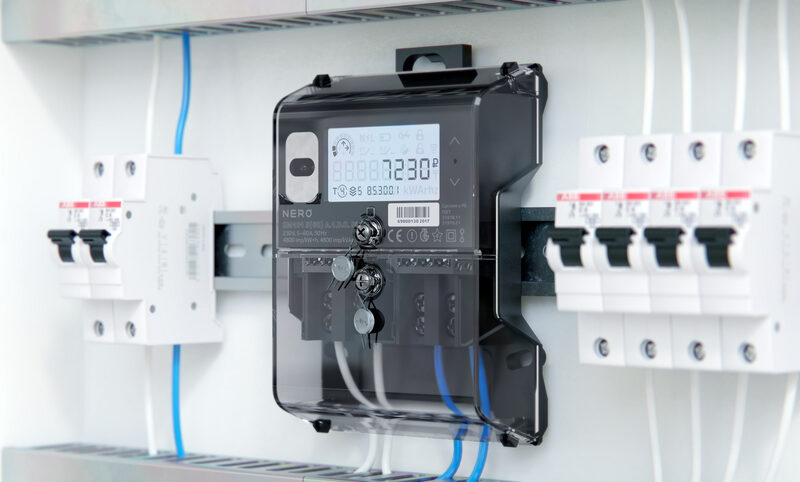 Information is presented on five layers: a clock, meter readings for different tariffs, network parameters and other important data. The layers alternate on screen automatically or can be switched using sensor buttons on the right side of the meter. An optical port is located in the window on the left side through which electricians can conduct verifications, take control readings and program the reader. 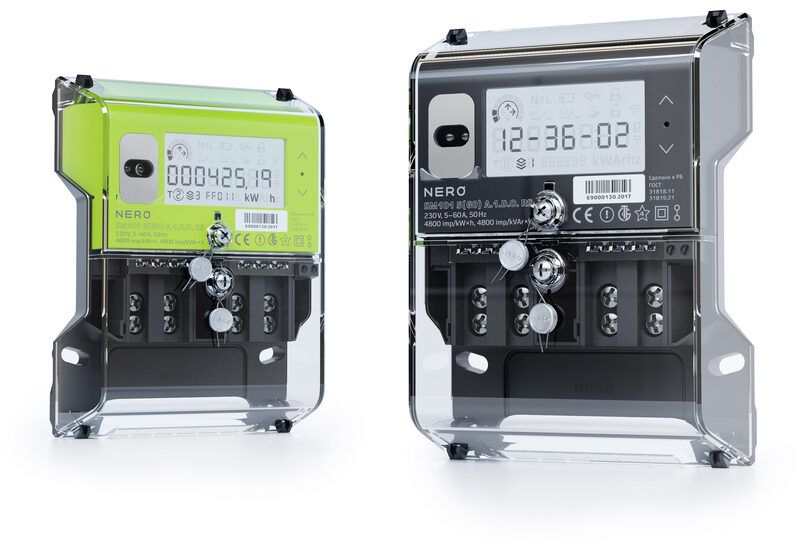 The meter is offered in two color options: classic black and cheerful light green which helps the device stand out in the world of electrical instruments and hints at its environmental friendliness.